IMAGE. 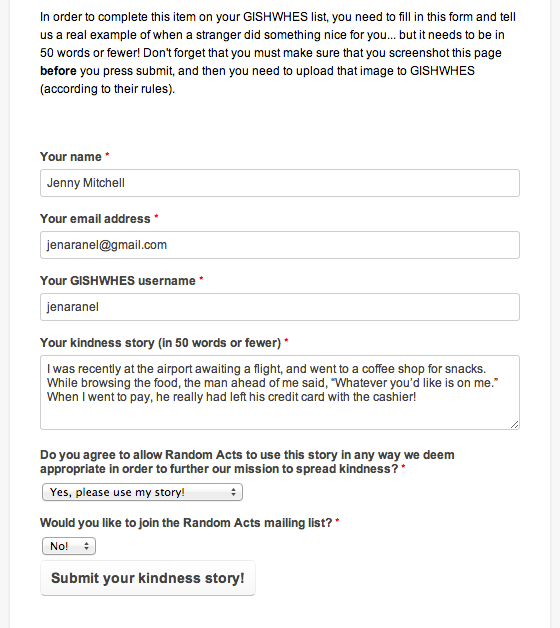 Submit a TRUE story (less than 50 words) of something nice a stranger did for you to https://podio.com/webforms/8915166/658998. Screenshot the form preview before you submit.